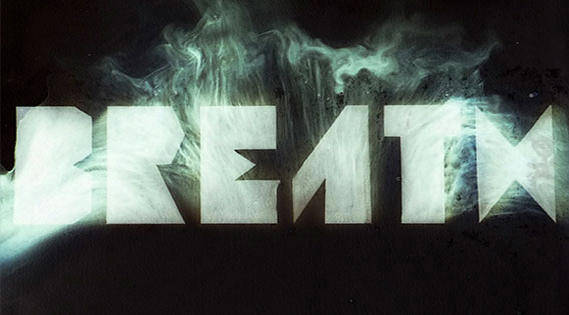 The image was captured on location in Victoria Park, Bath, flowing water from a small waterfall was used to naturally distort the hand lettered type. The final image was then refined in Photoshop. The House of Illustration and Folio Society's competition, to illustrate ‘The Outsider’ by Albert Camus. The brief required the selection and illustration of three passages from the book. 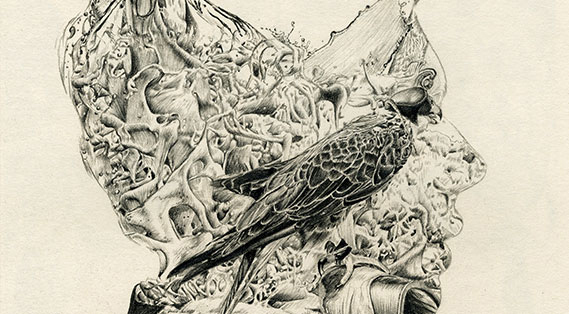 A flood of anxiety cradles a hooded bird of prey; a killer is restrained and forced to heed the will of others. This piece was the culmination of a design and research project, centred around cold war espionage equipment, that were integrated into everyday objects, from watches to attaché cases. 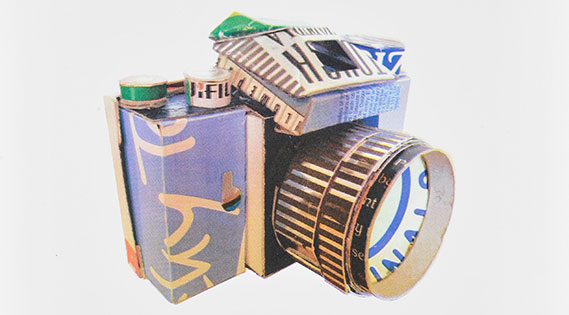 Made out of re-purposed materials, these models whilst being aesthetically pleasing, are also fully functioning pinhole cameras. Sing London deliver high profile, participatory events that connect people in urban environments. They requested an exhibit, that portrays the impact that the Bessemer (steel production) process had on the London skyline. The piece is now part of a collection touring the UK, as part of the Travelling Museum of British Invention. The Collections project investigated the subject of my dissertation; in particular looking at the link between the documentation of natural history and the first private collections. Exploring this lead me to form my own collection, a cabinet of visual curiosities; based around the concept of representing and re-purposing an existing collection. A silkscreen print, for the Chalk 'N' Cheese illustration exhibition in Bath. The theme for the exhibition was opposites, in this case comparing the mechanical to the natural. Mudpie, a trend forecasting company, required floral elements for their Spring/Summer 2015 print collection. The prints were then licensed to third party clients, for use on such items as clothing and packaging. Several illustrations went on to be integrated into trend views, for future seasons. Inspired by the Sammy Miller Museum, the piece alludes to a new perspective on the crafting of motorcycles, through the parallel craft of drafting and hand printing. The meaning behind the final print is obscure, but with the intention of describing to the viewer, the trials and successes enjoyed by the creator.